Groupe Country US composé de Dann Barry, Dennis Conway, Don Beck, Doug Brooks, Richard Lockmiller et Steve Young. Stone Country was a Hollywood, CA-based psychedelic country-rock outfit led by gifted singer/songwriter and guitarist Steve Young. Young, who grew up in the south, moved to New York City in the early '60s, where he became affiliated with the burgeoning Greenwich Village folk music scene. He later moved to Los Angeles in 1964 and began working with Van Dyke Parks and Stephen Stills while still working his day job as a mailman. 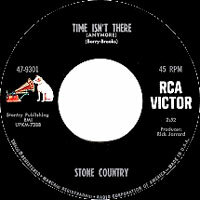 He formed Stone Country in 1967 and soon thereafter the band was signed to RCA Records. After releasing several singles, RCA issued the group's only album, Stone Country, in March 1968, produced by Rick Jarrard, who also produced Jefferson Airplane and Harry Nilsson's Pandemonium Shadow Show. (Incidentally, Stone Country appeared as themselves in Otto Preminger's 1968 film Skidoo, which features a score by Nilsson). 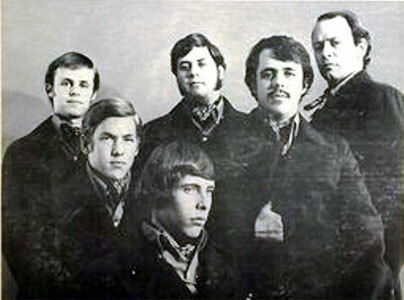 The group disbanded when, in 1969, Young signed as a solo artist with A&M Records. His album Rock Salt & Nails featured cameo performances by James Burton, Gene Clark, Gram Parsons, and Chris Hillman. In 1971, Young signed to Reprise, and eventually recorded a series of critically acclaimed albums in the country-rock style, his most well-known song being "Seven Bridges Road," recorded by Rita Coolidge, Joan Baez, and the Eagles. Clark — a member of the New Christy Minstrels and the Good Time Singers before joining this band — went solo and recorded for Imperial and Republic Records. Don Beck went on to join Dillard & Clark, while Denny Conway became a session drummer. Stone Country has not been released on CD and LP copies are valuable and highly collectible. 12/1967 SP RCA VICTOR 47-9397 (US) . 02/1968 SP RCA VICTOR 47-9472 (US) . 05/1968 SP RCA VICTOR 47-9534 (US) .